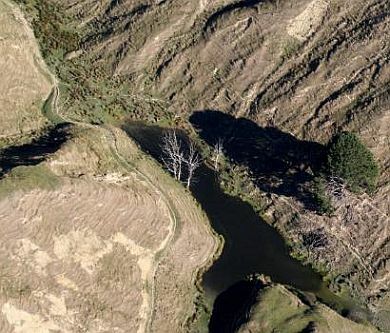 A total pool of NZ$34 million is up for grabs for regional councils to assess and treat erosion-prone hill country in New Zealand. Erosion and its effects in hill country areas alone were estimated to cost New Zealand's economy NZ$100-to-150 million a year. Ministry for Primary Industries (MPI) was inviting councils to apply for the next round of the Hill Country Erosion Fund (HCE) for projects to be delivered between July next year and June 2023. The HCE Fund was established in 2007 and was part of MPI's commitment to improving sustainable land management practices across New Zealand. As part of the One Billion Trees programme announcements with the 2018 budget, the HCE fund was "boosted" with a NZ$1.8 million one-off fund for projects to be delivered in 2018-2019. At the same time, coastal and alpine/high country erosion areas were made eligible for the fund, and the 2018 four-yearly funding pool was increased to NZ$34 million. "Planting trees is like a savings account for our future – the sooner we get the right trees into the right land, the greater the benefits over time," said director investment programmes at MPI, Steve Penno. "Conversely, erosion costs our regions millions if not treated." LonzaFIEApartnerFPH.jpg The HCE was a partnership between MPI, regional councils and landowners that aimed to protect erosion-prone land through implementing sustainable land management practices. It funded projects that were beyond the scope of regional councils to address on their own. Everyone needed to work together to get the full benefits from tree planting for landowners, councils and communities, Penno said. The previous four-yearly HCE round contributed $8.8 million for projects delivered from 2015-2019, with $35.7 million invested by landowners and regional councils in the projects.